Large capacity of activated carbon capacity, 1 # and 5# bags can hold 2.5 KG activated carbon: 2# filter bag can hold 5 kg of activated carbon. You can use a variety of micron ratings,entrapment efficiency is as high as above 90%. 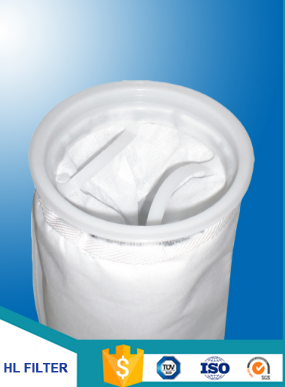 For # 1, # 5 activated carbon filter bag.Recommended flow rate no more than 6 m3 / H, for 2# activated carbon filter bag and flow controlsystem in 12 m3 / H is advisable. The best replacement differential in 1.2 to 2.0 Bar. With a wide range of chemical adaptability. Waste water treatment & removal of heavy metal, inorganic/ organic compound, dyes, chloroform, PCBs, phenol, dactyl phthalate, Cr (VI); also change Au(III)-AU, Ag+-Ag, Pt(VI)-Pt++, Hg++-Hg+, Fe(III)-Fe++, etc. Reclaiming of benzoic compounds, ketonic compounds, esters, alcohol compounds, petrol compounds, precious metals, VOCs and BTEXs. Liquid purification in paint, auto, electronics,semiconductors, synthetic fiber, chemical, petrol-chemical, rubber, pharmaceutical industries, etc. Gas purification & removal of SOx, NOx, H2S, etc.